Over the years, cannabis growers have experimented quite a bit. From growing in plain soil to soilless mediums like coco peat, we have indeed come a long way. Out of several growing techniques, hydroponic agriculture seems very popular. If you’ve decided to grow your buds in water, you need all the help you can get. It’s not really rocket science, though, because you’ll be fine if you use solid nutrients. So, today, I’ll talk about the best nutrients for hydroponic cannabis that will get you the biggest bang for your buck. When a plant grows in soil, it receives all the food or nutrients through the soil. In hydroponic farming, the plant gets its nutrients through the water. The nutrients are delivered to the root of the plant. By adopting this method, you replicate nature, minus the soil. Growing hydroponically gives you better control over your plants. When you control everything including the way the nutrients are fed, you inevitably get better results. However, it takes time because you can’t replicate everything soil offers. The most important thing to watch out for is the pH. Irrespective of the nutrients you provide, a pH imbalance will also affect the plants negatively. If you push on and get everything right, you will also enjoy bigger yields. Also, you can detect deficiencies or nutrient lockouts very quickly in hydroponic setups. When it comes to the pH, you only need to remember that cannabis plants cannot take in any nutrients if the pH if not accurate. Some companies offer pH balanced nutrient solutions. However, if you don’t have a pH-balanced product, you need to adjust it yourself. Cannabis plants love a pH range from 5.5 to 6.5 when growing hydroponically. If it increases, the plant cannot consume important nutrients. Similarly, when the pH decreases and becomes acidic, the plant suffers. You can purchase pH stabilizing solutions to counteract pH problems. However, it could get tricky because the plant will require your attention at all times. Therefore, you’re better off purchasing nutrients that are pH-balanced. I will mention again that if the pH isn’t correct, no amount of nutrients will help you! So, don’t forget the pH meter. It’s your best friend when growing hydroponically. Now that the plant has no soil to feed on its nutrients, it will rely on the water you provide. Plain water will not be able to nourish your plants. Therefore, you need to prepare a nutrient solution to ensure that your plant doesn’t develop any deficiencies. It’s relatively easy to grow cannabis plants hydroponically. However, it requires a basic understanding of what your plant requires. When growing in soil, you add manure or anything else containing nutrients to the plant. Hydroponic nutrients will have to be crafted carefully to compete with soil. 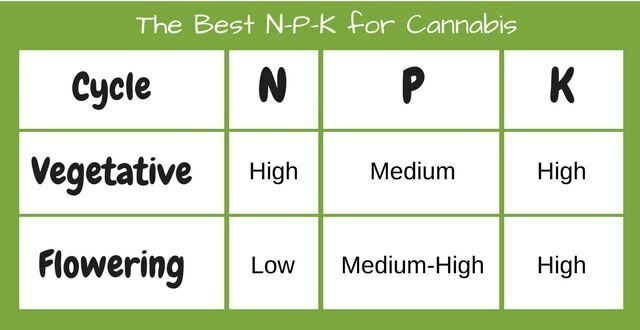 What Nutrients are required for Cannabis plants? Cannabis plants are just like any other plant. They require both micro and macronutrients to flourish. Regular soil contains both of these nutrients. Your nutrient solution must also contain a healthy dose. Macronutrients are categorized into Nitrogen, Phosphorous, and Potassium (N-P-K). The plant requires these essential macronutrients in proper doses. Nitrogen is necessary for the plants to develop leaves. Lack of Nitrogen turns the leaves yellow. Soil naturally contains large amounts of nitrogen. Similarly, hydroponic nutrients must also possess generous amounts of nitrogen. Phosphorous is necessary for the plant to develop stronger roots, stems and flowers. A good amount of phosphorous will produce greater yields. However, a deficiency of phosphorous will reduce the yield and quality pretty quickly. Lastly, Potassium works like a transporter. It moves the nutrients to different parts of the plant where they require them the most. Soil contains all these macronutrients and a healthy dose of micronutrients that play different roles. Micronutrients such as magnesium, copper and iron are present naturally in soil. For a hydroponic nutrient solution to work properly, it must also contain a good blend of both micro and macronutrients. The ratio of the nutrients must also be accurate. Otherwise, an increase in nutrients will result in several problems. For instance, excess nitrogen can make the plant focus only on the growth. This will affect the yields. Nitrogen toxicity may also make the leaves become like claws. Therefore, a thorough understanding of how the nutrients work with each other is very important. It’s not as easy as mixing the nutrients and feeding the plants. Sure, some people make their own nutrients. You can’t afford to fix your mistakes when the plant is supposed to be growing in full swing. So, it’s best to rely on companies that know what they are doing. The significance of nutrients in hydroponic farming is clearly established. 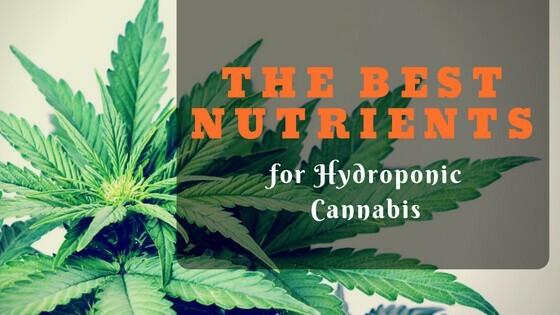 Here’s a list of the best nutrients for hydroponic cannabis. General Hydroponics needs no introduction. With so many products meant specifically for hydroponic farming, they are pretty well known. As the name suggests, this fertilizer is a combo of Grow, Bloom, and Micronutrients. In other words, this set is enough for the plant to get through the entire cycle. And you don’t have to buy separate nutrients for different cycles the plant goes through. It’s a powerful blend of all the nourishment necessary for the plant. The nutrient solution is also pH balanced. So, you adjust the solution according to your plant's needs without worrying about pH. The fertilizer contains concentrates to increase solubility. Therefore, take it slow and observe how your plants adjust to it. 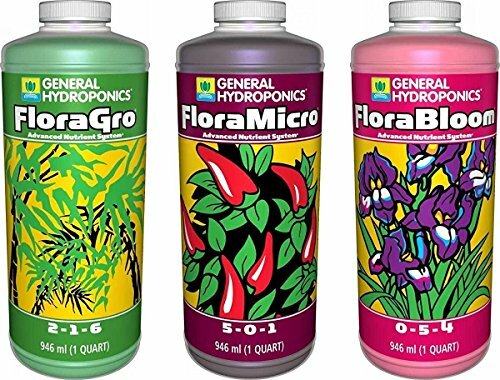 A set of three bottles containing 1 oz each will make at least 190 gallons of nutrients for your plants! 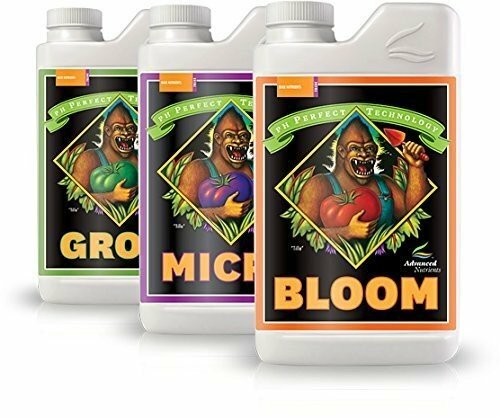 Advanced Nutrients is a combination of Grow, Bloom and Micronutrients. The fertilizer is designed specifically to deliver maximum output. With a full spectrum of nutrients containing both amino and fulvic acid, this fertilizer is also pH balanced. A set of three bottles of Advanced Nutrients contain a liter each of nutrient concentrate. This concentrate can be mixed with water based on the cycle and requirement of the plant. Also, 3 liters of nutrients last a long, long time. And, the best part is that this fertilizer contains nutrients that are formulated precisely to help the plants absorb them all quickly. Although Advanced Nutrients can be used to water plants growing in soil, it works best on hydroponic mediums. 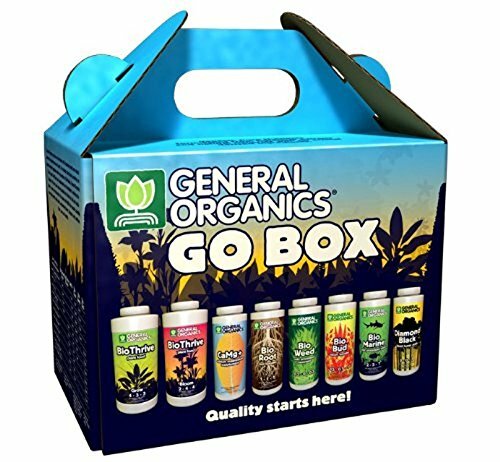 General Hydroponics Organic is a fertilizer that contains plant foods and organic supplements only. The company states that it has combined traditional agriculture with modern, sophisticated methods to get the best outcome. This kit contains both Bloom and Grow fertilizers. It also comes with samples of every liquid supplement under the GO series. This way, you can try everything and only stick to what suits you. Growing cannabis is fun, but it becomes even better if you use organic fertilizers. Many people assume that organic fertilizers don’t yield too much. This fertilizer is made with minerals and botanical extracts that are completely natural. 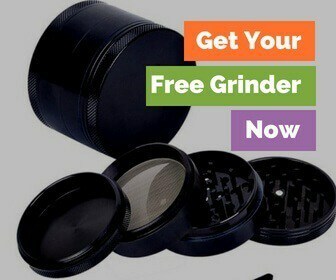 Plus, it not only produces great yields, but it also ensures that your final product is free of chemicals. After all, you’re going to smoke those buds. So, you might as well steer clear from fertilizers made with chemicals. 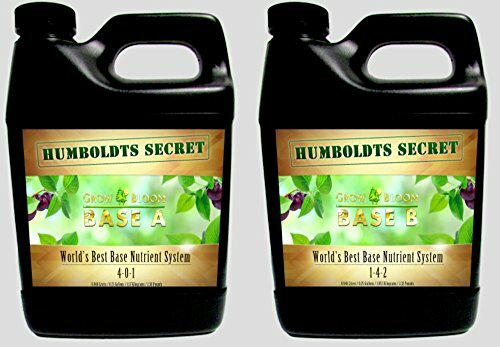 Humboldts Secret perhaps has all the answers to problems plaguing your plants. This fertilizer is created to grow plants on both soil and hydroponic systems. Made of Base A and Base B, this liquid nutrient can be used in both vegetative and flowering stages. A mixture of Nitrogen, Potassium, Phosphorous, Magnesium, Calcium and Fulvic acid is used to create a powerful superior blend. And it’s no wonder that Humboldts Secret Liquid Nutrient is known as the world’s best base fertilizer. Most fertilizers require you to purchase additional supplements to get maximum benefits. But with Humboldts, you don't need anything else. Available in different sizes, you can also purchase the 5-gallon bundle and forget about purchasing nutrients for a long time. Remember not to mix Base A and Base B while watering the plants. Although you’re supposed to use both the bases in equal amounts, mix them separately in the reservoir. Just like humans need supplements to get a boost of energy, plants require the same treatment. Bud Candy and Big Bud, as the name suggests, are both supplements to be used during flowering. Enriched with boosters to help the buds grow big, you’ll have the pleasure of watching the buds swell and thrive. Remember to use this only as an additive, though. Mix it with other nutrients and feed the plants as usual when you see the buds developing. It also enhances the terpenes, and you get to experience the rich aroma of your cannabis plant. Some fertilizers produce a chemical smell, and it lasts even after the buds are harvested. After all that hard work, the last thing you want is a chemical smell. 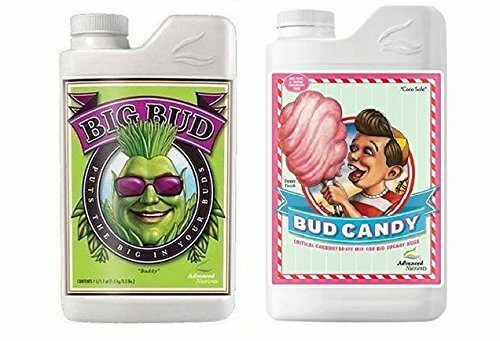 The best part of Big Bud and Bud Candy is that there are no harsh chemical smells at the end of harvest. These additives may not be useful to help the plant grow. However, even as a supplement meant only for buds, it works wonders. Growing cannabis hydroponically can be both a treat and a challenge. Once you get down managing the nutrients you'll be golden. Make things easier on your self by picking up some of the best nutrients for hydroponic cannabis and you won't regret it! What nutrients have you tried before? Were you impressed or disappointing with the results?